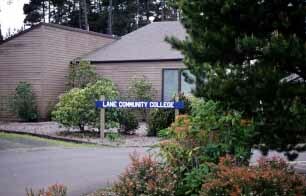 In addition to non-credit courses serving the continuing needs of the Western Lane County community, LCC at Florence provides instruction leading to the Oregon Transfer Degree, enabling students to complete the first two-years of an Oregon public college or university course. Elderhostel programs at LCC offer new worlds to explor with interesting, stimulating people from all walks of life. People aged 55 and over along with their spouses and/or companions aged 50+ are welcome. 97439.com has news, weather, and other current information about Florence. Mt. Pisgah Arboretum Wildflower and Music Festival Eugene OR May19 A day of wildflowers, music, food, crafts, and microscopes! Rhododendron Days Florence OR May17-19 The annual celebration of the blooming of rhododendrons along the central Oregon Coast. Bohemia Mining Days Cottage Grove OR July18-21 Prospectors' breakfast, miners' parade, food booths, gold panning, a pow wow, carnival, kiddie parade, street dance, and more. The Oregon Jamboree Sweet Home OR August2-4 Located in the foothills of the Cascade Mountains, the the Oregon Jamboree has 2 stages, 22 shows, 1 sweet weekend.